Isa And Islam > Frequently Asked Questions > Muslim Beliefs > Will Allah Forgive All Sins of Muslims This Ramadan? 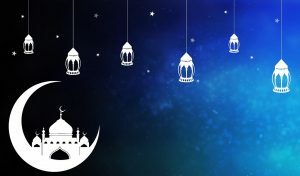 For Muslims, Ramadan and Id al-Fitr are very special days. For Christians, one special week is the death and resurrection of Isa Al-Masih. In 2019, Ramadan begins two weeks after Easter. You might not have known that these two holidays have similarities. Foremost is their focus on forgiveness of sins. Will Allah forgive all your sins this Ramadan? Does Fasting During Ramadan Forgive Sins? These teachings are found in the Hadith. For example, “Whoever prayed at night in it (the month of Ramadan) out of sincere Faith and hoping for a reward from Allah, then all his previous sins will be forgiven” (HR. Bukhari 3:32:226). But, is there any assurance Allah will forgive all sins in the past, present and future? Why are many Muslims afraid of hell? Answer here. When Christians celebrate the death and resurrection of Isa Al-Masih, they think about sin. 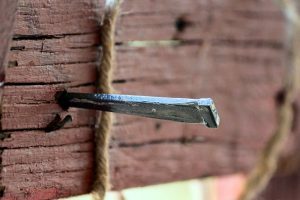 They believe Isa died on the cross and rose three days later. Why do Christians believe that? Because that truth corresponds to history and Allah’s Holy Book. “Jesus [Isa] called out with a loud voice, ‘Father [Allah], into your hands I commit my spirit.’ When he had said this, he breathed his last . . . there was a man named Joseph . . . he asked for Jesus’ [Isa] body” (Gospel, Luke 23:46, 50, 52). “. . . Why do you look for the living among the dead? He is not here; he has risen!” (Gospel, Luke 24:5-6). Can We Be Certain Allah Will Forgive All Sins? How does Allah forgive all our sins? Because Isa Al-Masih has taken the punishment we deserve. This is the only way to know all your sins will be forgiven this Ramadan! Contact us if you want to experience this forgiveness. Is there a teaching anywhere in Islam that says Allah forgives all sins in the past, present, and future? Why or why not? Do you worry about your sins being forgiven? According to this article, how can you be certain your sins will be forgiven? What’s your opinion of the 10 things that Allah has done with the sins of those who put their faith in Isa Al-Masih?